Well folks, it’s working – Lance pooped in the potty today! 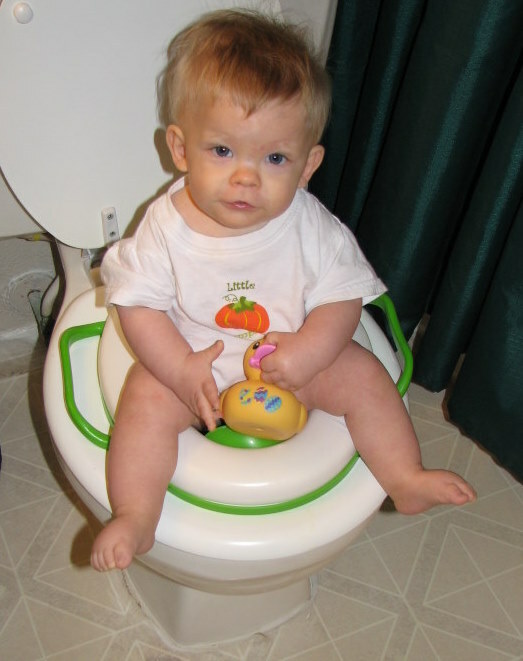 I know, I know, not the most pleasant subject for a blog post, but some have been curious if infant potty training really works. I heard about the method when he was six months old and tried it out. Now, at 7 1/2 months he is well on his way to being a “big boy”! We just got the potty seat this week specifically for this type of accomplishment (I used to sit him backwards on the seat). The rubber duck is purely for entertainment.